Author: Peter Scheulen. Series edited by: Michael Bollig, Wilhelm J.G. Möhlig. 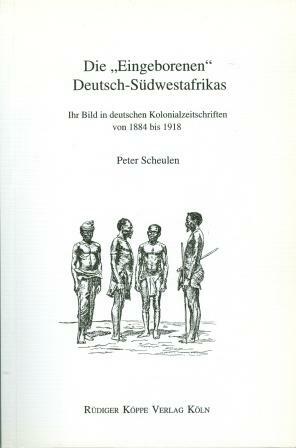 This study reconstructs the image German Colonialists held of their indigenous subjects of their colony Deutsch-Südwestafrika during the time from 1884–1918, using articles and images in German Colonial newspapers as source material. The articles and images, which are analysed in this scientific study for the first time, clearly indicate that at that time colonizer and colonized were in a kind of dialogue, contrary to common expectations. Though marked by the inequality of the participants, it still had a considerable influence on their images of and their actions towards each other. The latter did not always imply conflict. Often mutual interests lead to a harmonious coexistence. The Germans differed in their views of the natives, depending on their competing interests, as evidenced by e.g. the Colonial administration, missionaries, merchants and settlers. Furthermore, the different images developed during the 34 years of German Colonial government and in the end the negative interpretations of the natives were clearly predominant. The perspective chosen in this study is that of a cultural anthropologist. By evaluating the sources a contrasting procedure is found: the statements of the Colonial period are gathered together and intensified into coherent ethnographic pictures, and then the underlying concepts and images of the contemporaries are deduced. 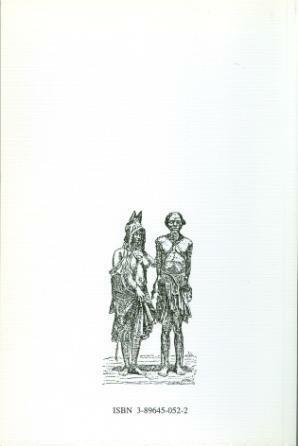 The description of the legal conditions of the colonized in Deutsch-Südwestafrika is handled in a separate chapter. Apart from that the author deals with some of the dominant stereotypes at the time in the German empire about the inhabitants of Africa. These examinations give an important frame of reference for the analysis of the actual sources used in this book. Das Verdienst Scheulens ist es, die in vielen Artikeln der Kolonialzeitschriften zu einer Einheit verschmolzenen rassistischen und kulturdarwinistischen Gedanken auf deren ideelle Trias eines evolutionistischen Kulturbildes, einer darwinistischen Lebensphilosophie und eines anthropologisch-rassischen Menschenbildes zurückzuführen. Ihm gelingt es damit, das Bild vom ‚Eingeborenen‘ als von negativen Vorurteilen und Klischees geprägte Konstante kolonialen Denkens zu kennzeichnen, gegen die die Kolonien wirkungslos blieben. Frank Dörner in Periplus, 10. Jahrgang 2000, pp.